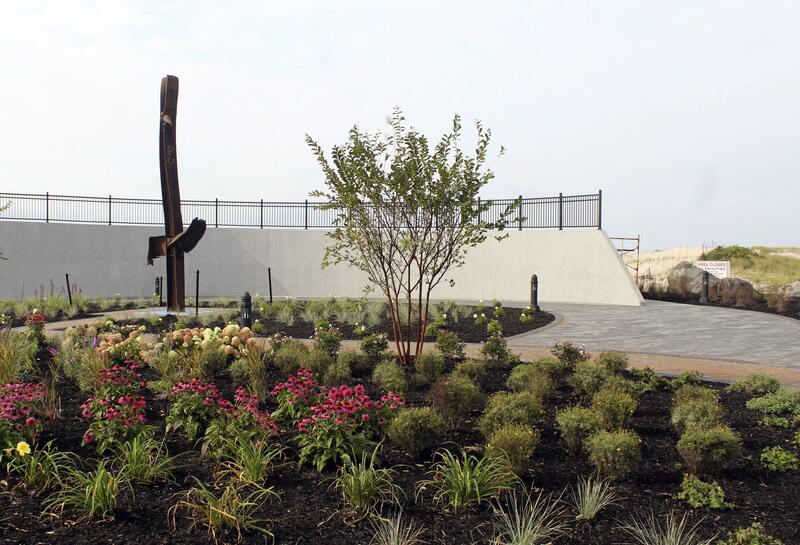 UPDATED: Sun., Sept. 10, 2017, 7:48 p.m.
POINT LOOKOUT, N.Y. – A Long Island beach where people gathered and watched in horror as the distant World Trade Center towers collapsed on Sept. 11, 2001, is the site of the latest memorial to victims of the terror attacks and among a growing number that honor people who died of illnesses years after participating in the rescue and recovery effort. Determining how many people had serious illnesses directly linked to that exposure is a challenge, especially because many of the people involved are now of an age where health problems, like cancer, are quite common. Another plaque will point in the direction of the rebuilt World Trade Center, visible 24 miles in the distance. “Having it on the beach at Point Lookout, the same place where hundreds of people assembled in the wake of the terrorist attacks, makes it uniquely compelling,” town supervisor Anthony Santino said. Published: Sept. 10, 2017, 7:11 a.m. Updated: Sept. 10, 2017, 7:48 p.m.